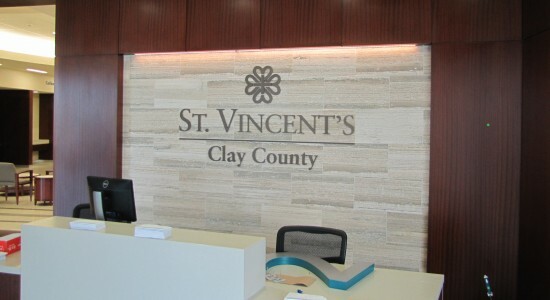 Creative Sign Designs partnered with St. Vincent’s Medical Center to develop an interior and exterior sign package tailored to the specific needs of the hospital. 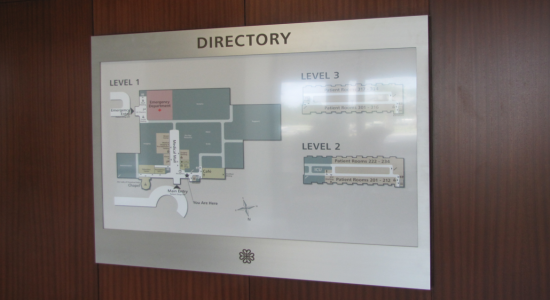 In addition to building signage, Creative developed a wayfinding system to successfully guide its patrons throughout the facility. 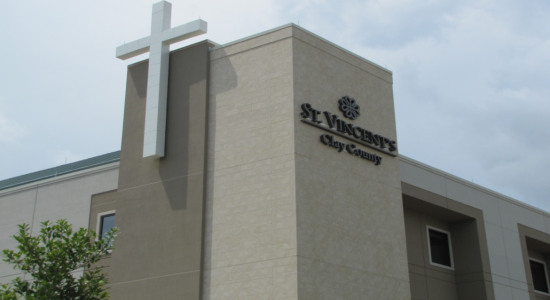 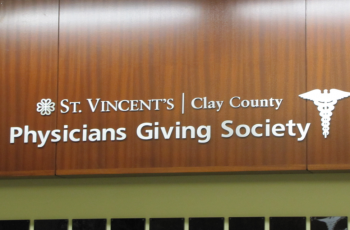 St. Vincent’s HealthCare is a not-for-profit, philanthropic organization committed to enhancing the current and future healthcare needs of Jacksonville, FL and surrounding areas. 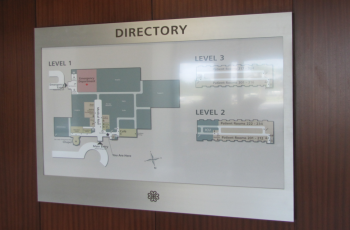 The completed sign program consisted of an extensive interior and exterior entry monuments, building lettersets, polymer interior code, and wayfinding signage. 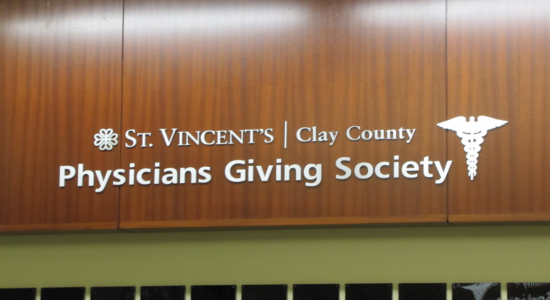 Working with designers at HKS environmental graphics and focusEGD on the programming, creative was brought on to fabricate and install the sign package. 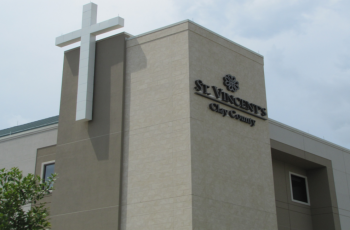 To successfully execute the needs of this client, Creative’s team of signage experts directed the project through a consultation, fabrication and installation process. 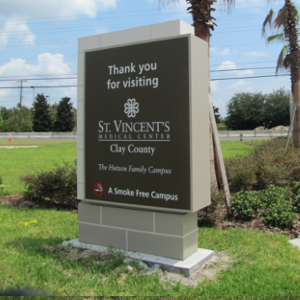 Each step was executed by specialized departments within Creative and tailored to the independent signage needs of St. Vincent’s HealthCare. 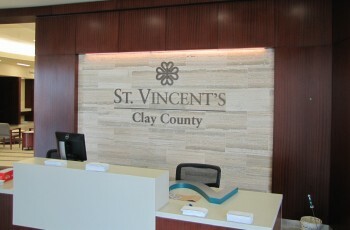 The architectural sign package was manufactured and installed in a timely fashion to create a welcoming, easy to navigate healthcare facility upon its opening. 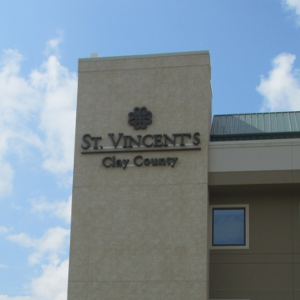 Creative looks forward to continued collaboration with St. Vincent’s to support its growth and development in the community.